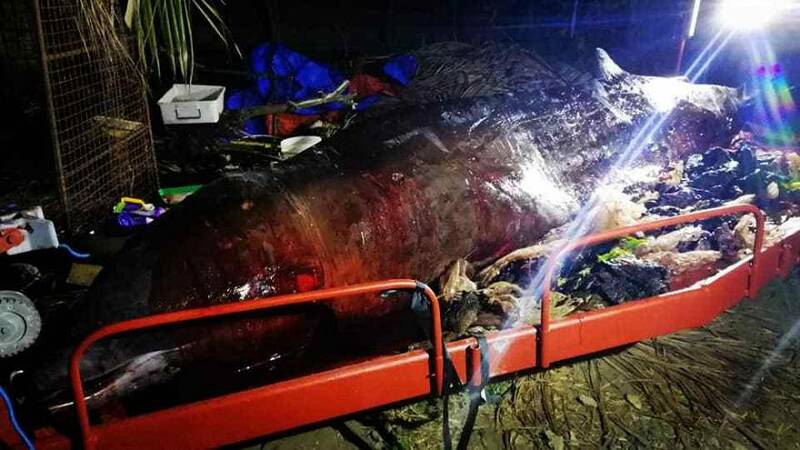 16 rice sacks, 4 banana bags and multiple shopping bags were found during an autopsy of a young male Cuvier’s beaked whale that washed up on a beach in the Philippines on Saturday. 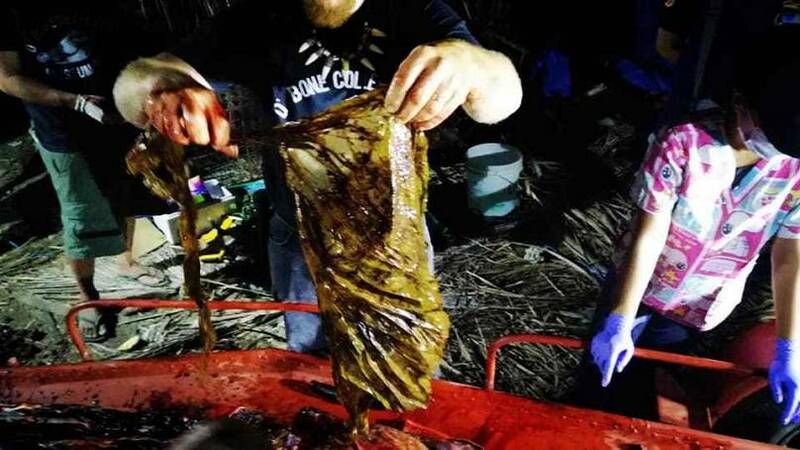 Marine biologists and volunteers from the D’Bone Collector Museum in Davao City, on the Philippine island of Mindanao say the 4.69 metre whale died from “gastric shock” after ingesting 40kgs worth of plastic bags. 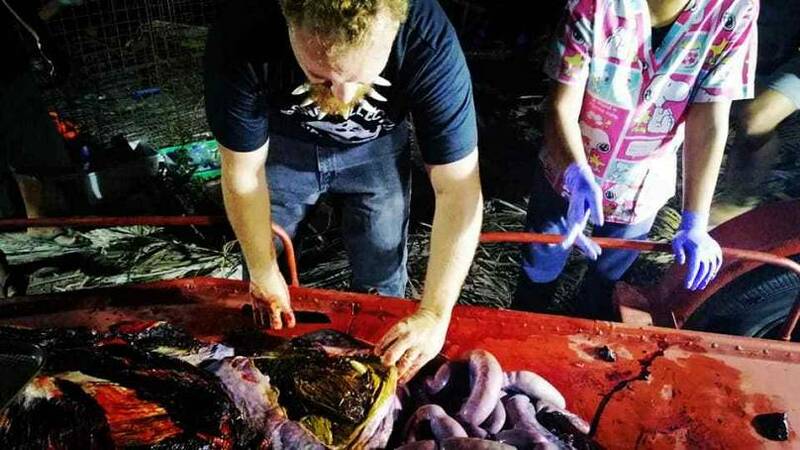 The museum said via their Facebook page they uncovered an extraordinary amount of plastic in the whale’s stomach after conducting an autopsy. 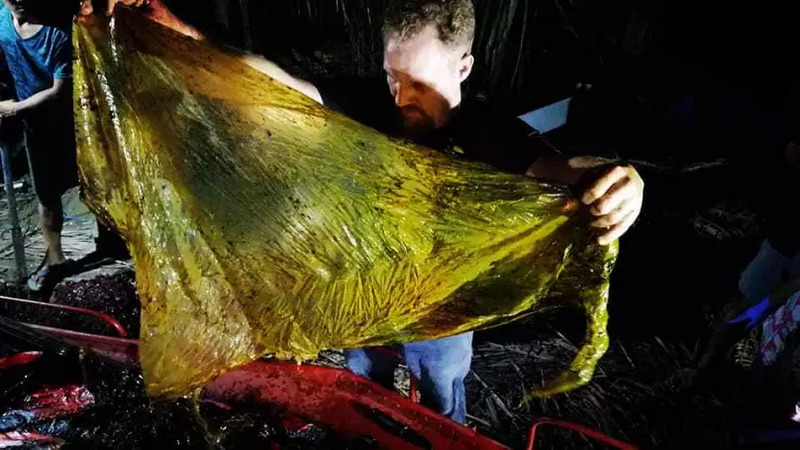 Images from the autopsy showed endless piles of rubbish being extracted from the sea mammal's stomach, as the biologists called it “disgusting” and said it was “the most plastic we have ever seen in a whale”. 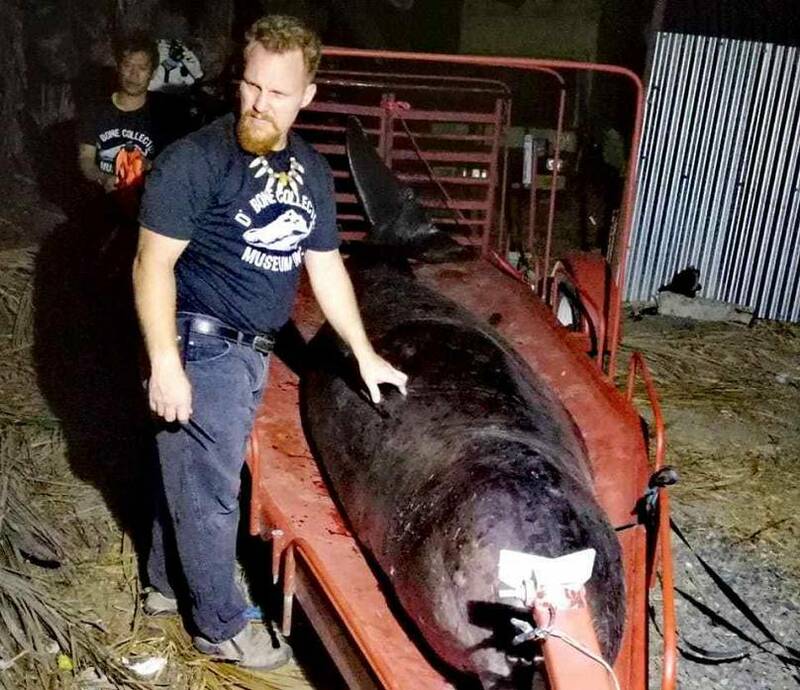 Darrell Blatchley, 2015 Datu Bago Awardee President and Founder of D' Bone Collector Museum, told Euornews that at 11 a.m. they were informed the whale had just died and they travelled to the area as fast as they could. The biologists recovered the whale as it was showing signs emaciation and dehydration, stating the whale had been vomiting blood before it died. 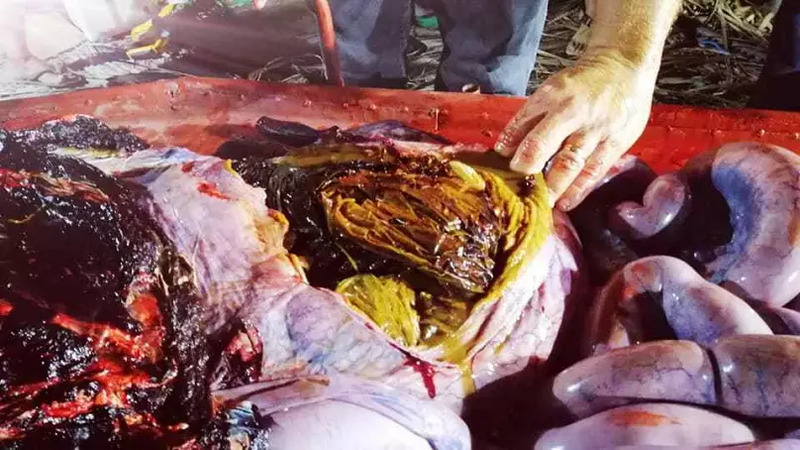 “Upon reaching the stomach during the autopsy I knew this whale had died due to plastic ingestion. I was not prepared for the amount of plastic,” said Blatchley. Blatchley went on to say that the Philippines ranks as the world’s 2nd biggest culprit for plastic pollution and in the last 10 years his team has recovered 61 whales and dolphins of which 57 have died due to fishing nets, dynamite fishing, and plastic garbage. “Four of these dead animals were pregnant. This cannot continue,” says Blatchley.